With the new 2.3 release WordPress supports a native tagging system for posts. This plugin allows you to insert tags to pages too and not only to posts. WordPress 2.3 or later (You MUST have at least 2.3 version). 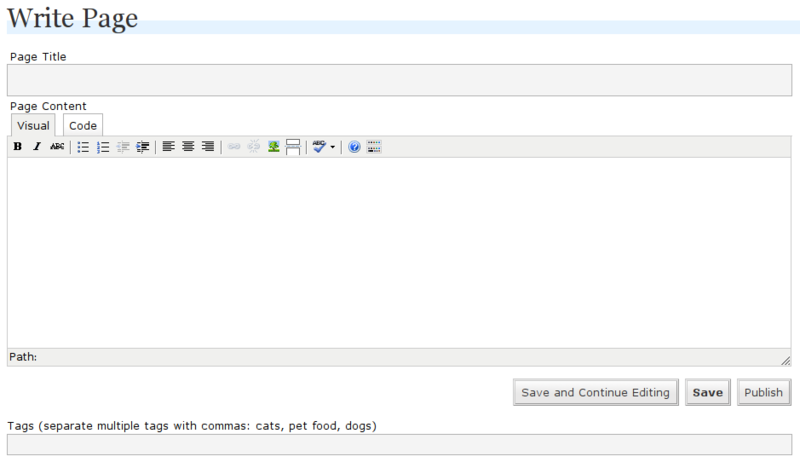 When you activate the plugin it just works adding the tags field to the page editing form. Fill it with the tags you want in each page. To view the tags in your blog you have to add the WordPress function <?php the_tags(); ?> to your themes, please refer to the documentation page for more information. Thanks to Diarizing for idea. Tags4Page is in the official WordPress Extend Plugins Directory, every times I’ll upload a new release your wordpress (only for >=2.3) will notify you. We offer 100% pass guarantee with help of best quality braindumps study material including Testking 220-801 dumps and Actualtests CISSP practice exam. For more information about this product see wikipedia page and CISCO website. 8 WordPress Plugins for Page Management | ?????? Your article is very nice. it is very helpful for other. good one, which is best article and i never read such like this…. Actually i got the plugin but how can i install this tags4page WordPress plugin ? One of my favorite parts about blogging is being able to comment. It’s a great way to share what you think about a certain topic. I know I’ve had many great conversations just through commenting!